A new engine is Volkswagen’s final gift for its beloved Beetle before the iconic compact takes its final bow. As Volkswagen prepares to 86 the Beetle in favor of its new retro retread, the electric I.D. Buzz, it has decided to use the little nod to nostalgia as one of the promotional platforms for its new 2.0-liter turbocharged engine. With a new combustion cycle developed at VW, this larger engine offers the Beetle some extra economy for its final lap. 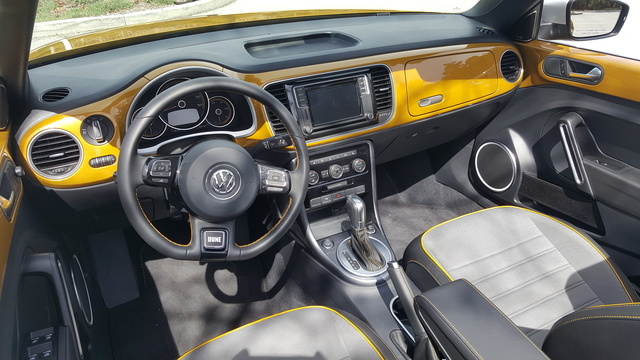 But rather than letting the Beetle fade into iconic history, VW has a last blast to bestow in the form of a special “Coast” edition that comes with a unique trim treatment and paint job. The Beetle has always been stuck with a certain feminine characteristic, but those who ignore the Beetle for concerns of being considered less masculine are doing themselves a disservice. It’s a competent little cruiser with quirk that can handle the highway just as well as city streets while offering more personality than most cars on the market. It feels solid inside and out, and with this new engine it can boast some added fuel economy as well. 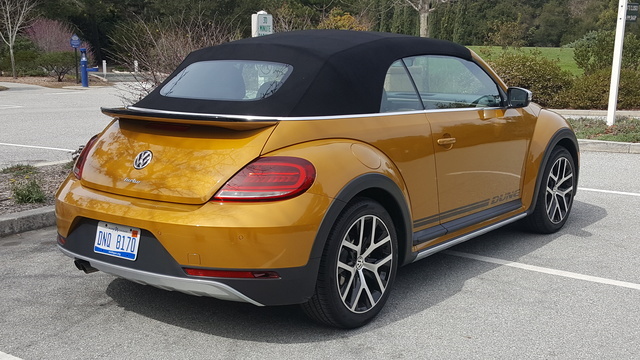 Starting with an MSRP of $20,220, the Beetle S trim comes with standard features you wouldn’t expect for just over 20 grand: LED running lights, heated mirrors, 16-inch alloy wheels, and an 8-speaker stereo controlled through a 5-inch touchscreen. Toss in a standard reversing camera and a leather-wrapped steering wheel, and the value of the S trim is apparent. 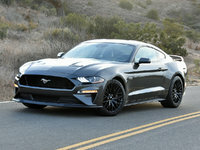 A Style & Comfort Package should be a very popular option, as $1,475 will get you a huge list of add-ons, including larger 17-inch wheels, body-color exterior trim, keyless ignition and entry, auto headlights and wipers, an auto-dimming rear-view mirror, heated front seats with leatherette and some serious tech upgrades like a larger 6.3-inch touchscreen, HD and satellite radio, and VW Car-Net App-Connect, which gets you the privilege of Android Auto and Apple CarPlay. The SE trim starts at $24,020 and gets you another big jump in content with a sunroof, dual-zone auto climate controls, blind-spot monitoring with rear cross-traffic alert, and the VW Car-Net Security and Service system that allows you to check if your lights are on, your doors are locked, and how much gas you have, all from your phone. Add the SE Premium package for another $2,500 and you’ll get 18-inch wheels, parking sensors front and rear, bi-xenon headlights and LED taillights, a Fender stereo, and an upgraded 6.3-inch touchscreen that gets you navigation. There are two special edition Beetles this year, the Coast and the Dune. The Coast starts at $23,120 and gets you everything from the S with the Style & Comfort Package, plus a sunroof, the blind-spot monitoring system with rear cross-traffic alert, special houndstooth cloth upholstery, a dash pad designed to look like a surfboard, and a unique Deep Sea Teal paint option. That’s a great little package that has to be seen to be fully appreciated. Finally there’s the Dune edition. Starting at $26,790, the Dune is another cosmetic package with some slight mechanical changes. A special paint job and graphics, larger rear spoiler, and 18-inch wheels are complemented by an extra half-inch of ground clearance and a wider stance. 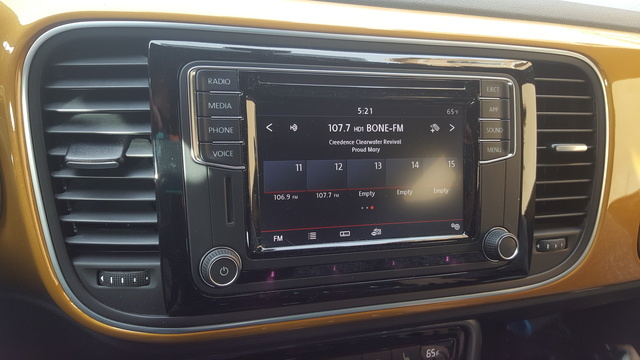 It gets unique sport seats and leather, with all the content from an SE Beetle with the Premium package, though it deletes the top-of-the-line touchscreen and the blind-spot monitoring system for some strange reason. Any of these trims can be had as a convertible for about another 5 grand, and VW was kind enough to send me a Dune convertible for my week with the Beetle. 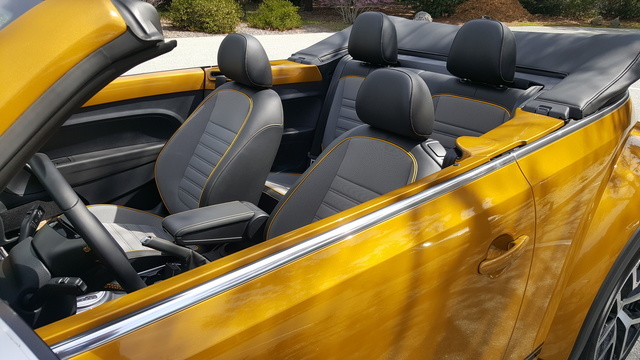 With a starting MSRP of $32,090, the special Sandstorm Yellow Metallic paint ($250) and an $850 destination charge, my walkaway price was $33,190. With a brand new engine, consumers are usually eager to hear about the extra power they’ll get to enjoy. Sadly, despite gaining an extra 0.2 liters of displacement, the new 2.0-liter engine delivers nearly the same power numbers as the old 1.8. 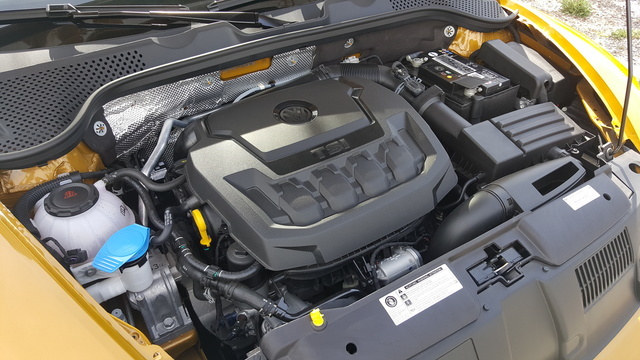 A 4-hp increase slots the new 2.0 at 174 hp and 184 lb-ft of torque, but a new engine cycle developed by VW engineers adds 2 mpg in city driving, thanks to the engine’s ability to alter the intake timing to lower compression when the engine doesn’t need all its power. By lowering the compression ratio during low-load situations, the engine is able to lessen what engineers call “pumping loss”—the engine power sapped just by getting fuel and air in and out of the combustion chamber. This means the engine isn’t working as hard just to feed itself, and even better, the same process also lowers pressure in the chamber for part of the combustion stroke. Lower pressure means lower temperatures, and a cool engine is an efficient engine. It’s a simple yet innovative approach to improving fuel economy without hurting power delivery, and it offers the added bonus of moving the power band down in the rev range, meaning you can access the power more easily. Further engine changes should theoretically make the 2.0 rev more freely than the 1.8 as well, but I didn’t really notice that during my week with the Beetle. What I did notice is that the fuel-economy claims were absolutely replicable, and during my week with the Beetle I was easily able to hit the 29 mpg combined rating, even with the same old 6-speed automatic that's the only option for the Beetle. You certainly aren’t going to win any races with this new engine, but it provides the Beetle with smooth, on-demand power around the city and plenty of passing power for the highway. The Beetle follows the typical VW Spartan approach, with clean, classic, simple lines and high-quality materials. I drove a Beetle cross-country last year, and there was more than enough room for my 6-foot, 4-inch frame to live comfortably for a few days, as well as a 40-pound dog, a few bags, and enough Christmas presents to alleviate the guilt of living an entire continent away from my family. I was impressed. Of course, that would be harder in the convertible. 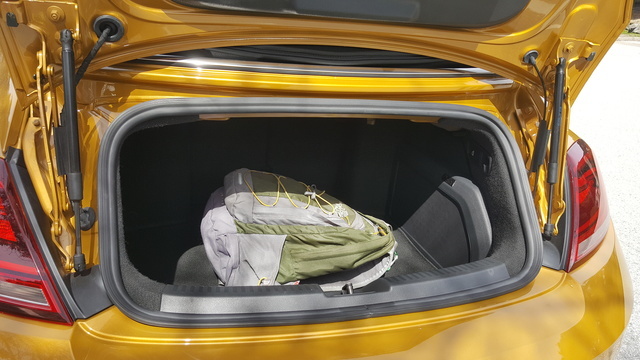 Most notably, trunk space drops from 15.4 cubic feet to 7.1, putting a serious dent in baggage room for any top-down touring you might want to undertake. Back-seat room is compromised as well, but you weren’t expecting to get an adult in the back of a Beetle, were you? At anything other than fully forward, I couldn’t lock the front seatback into place with me sitting behind it, so test potential passengers before purchase. 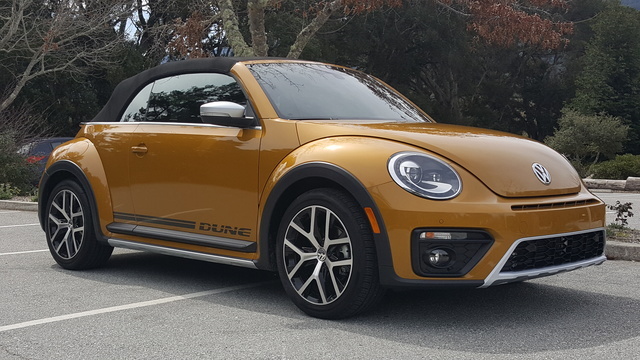 A special note on the Dune edition: The increased ride height looks great, especially with the 18-inch wheels, but neither of those features has done anything great for the ride itself. The Dune can get a little bit bouncy on rough pavement, and don’t think it can handle off-road. Despite being inspired by Dune Buggy Beetle conversions, VW is adamant that the Dune is not to leave the road. Be warned. Also, the larger rear spoiler is responsible for 1 extra mpg compared to the other Beetle editions. Why VW doesn’t include it on the rest of the lineup is a mystery. Finally, the decision to eliminate the blind-spot monitoring system and top touchscreen is baffling, especially with the convertible's limited visibility. The standard LED running lights, heated mirrors, and 5-inch touchscreen with reversing camera you get with the Beetle are impressive, but I can’t see anyone turning away the $1,475 Style & Comfort Package’s keyless ignition and entry, auto headlights and wipers, auto-dimming rear-view mirror, and larger 6.3-inch touchscreen with HD and satellite radio as well as Android Auto and Apple CarPlay. The SE’s blind-spot monitoring with rear cross-traffic alert and the VW Car-Net Security and Service are nice, but for those who really want to bathe in the tech, it’s the Premium Package’s parking sensors, bi-xenon headlights, LED taillights, Fender stereo, and upgraded 6.3-inch touchscreen with navigation that’ll satisfy. With an overall 5-star rating from the government’s National Highway Traffic Safety Administration (NHTSA), the Beetle seems an obvious choice from a safety standpoint. But dig a little deeper and you’ll see there are a few 4-star categories in there. Overall front and front passenger tests both received a 4-star rating, as did the rollover test, but keep in mind there aren’t current test results available specifically for the convertible. 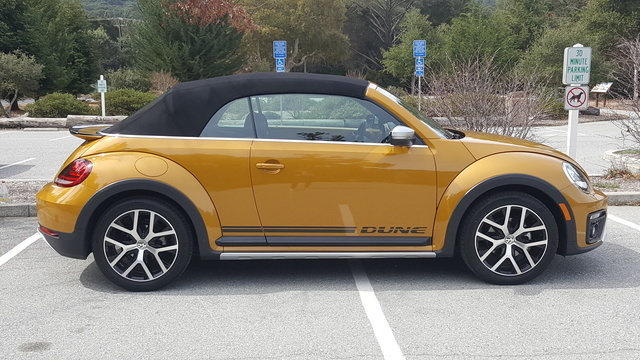 The Beetle ranges from surprisingly affordable to confusingly expensive, with an S with the Style & Comfort Package an example of the former and the Dune convertible, the latter. 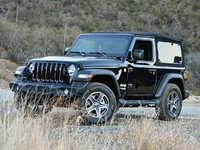 The most attractive deal this year may just be the Coast edition at $23,120 for the hardtop and $26,840 for the convertible. The surfboard dash and houndstooth cloth seating match the Beetle’s personality perfectly, and with this new engine it might just be the trim to get for collectors. The Dune, cresting 33 grand while not including blind-spot monitoring or the top touchscreen with navigation, borders on absurd, but it sure does look good with Sandstorm Yellow Metallic paint and its unique stance and graphics. Pick anything other than that, and I think you’ll be very pleased by what the Beetle offers for the price of admission, especially considering that for 2018, every VW now gets an extended 6-year warranty. What's your take on the 2018 Volkswagen Beetle? Have you driven a 2018 Volkswagen Beetle?